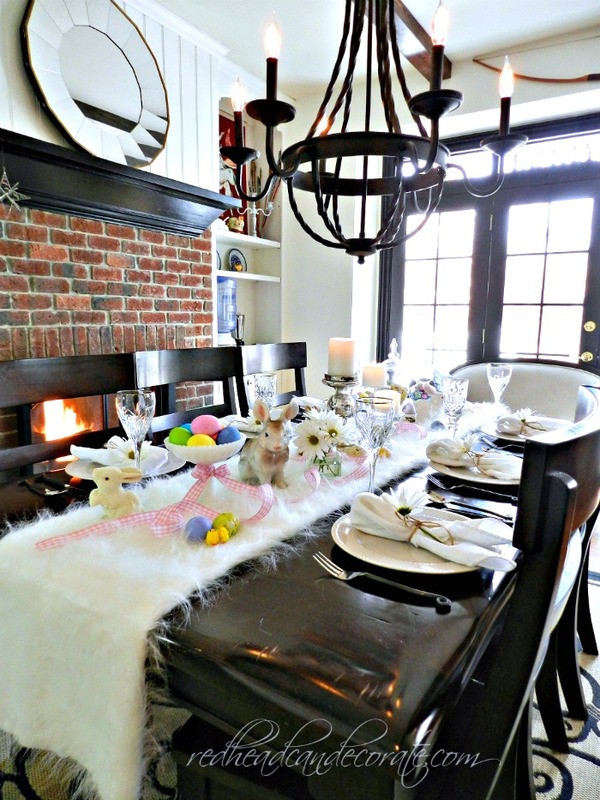 One of my most favorite things to do for Easter is to set a pretty table for Easter brunch. 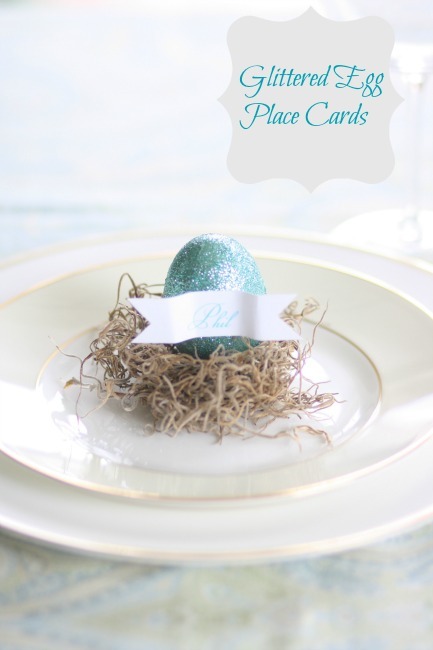 So, today I decided it would be nice to share not only my “affordable” Easter table ideas, but some of our amazing blog friend’s ideas, too. 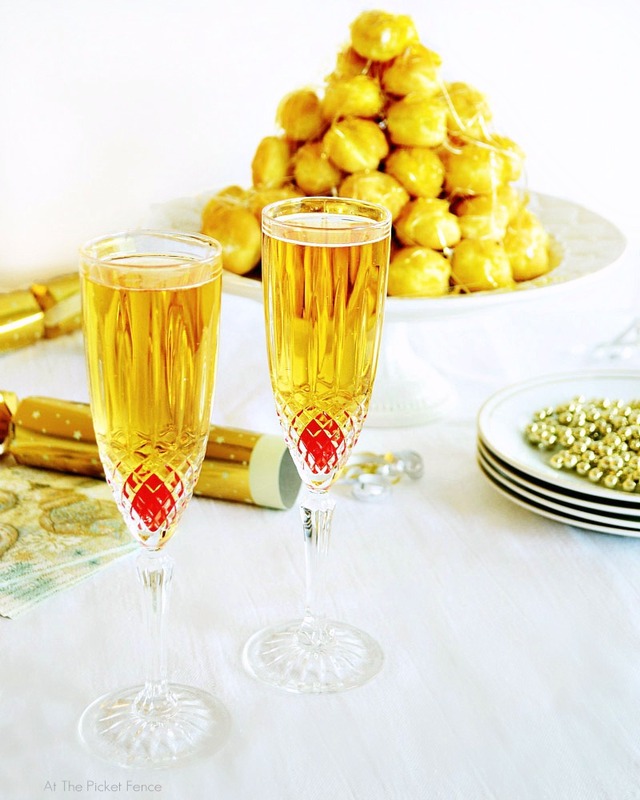 Kentucky Champagne.. a fun drink for New Year’s Eve! 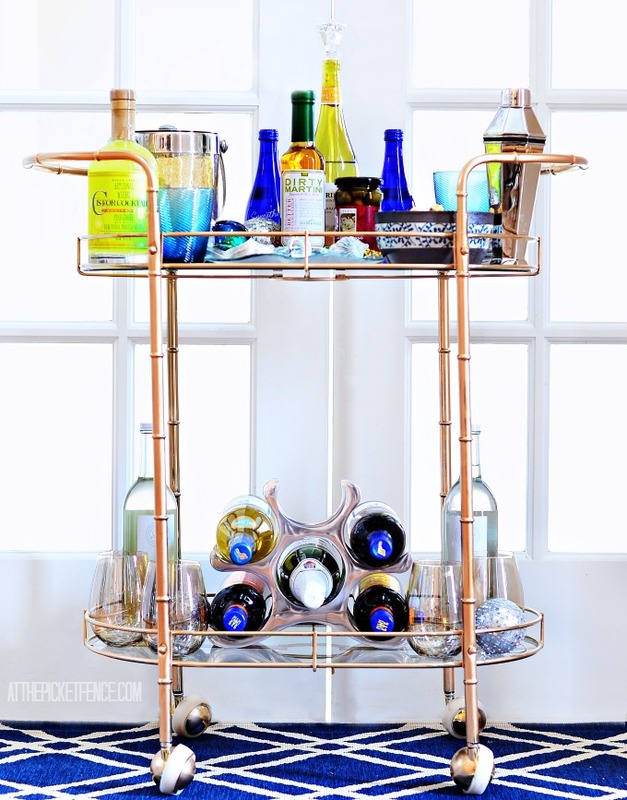 Just in time for your New Year’s Eve celebrations, I’m sharing with you Kentucky Champagne…one of my favorites! Can you believe it’s almost the end of 2016?! Whew! It’s been a year of ups and downs, high and lows but through it all we’ve loved visiting with you each week, here at the picket fence! Whatever your New Year’s Eve plans hold, staying in cozy by the fire or celebrating out on the town with friends and family, know we are virtually toasting in 2017 with you! At our home we love celebrating the arrival of the new year with Kentucky Champagne! 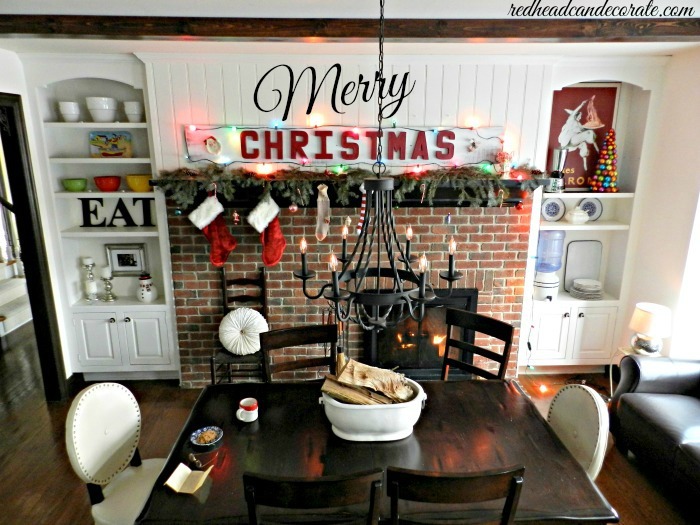 Good morning, and Merry Christmas from redheadcandecorate.com! 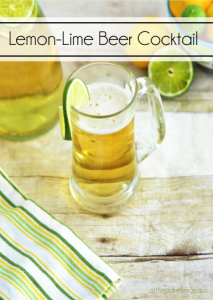 Last year, I tried something new for our annual Christmas appetizer party and I’m so excited to share it with you here today hoping maybe you will try it. 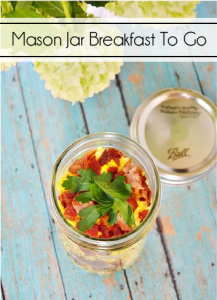 Keep in mind, this is an appetizer you can use for any celebration. When my kids were really little, the days spent at home with them were mostly awesome. I wouldn’t trade them for anything in the world. But they were also exhausting. Really, really exhausting. Being home alone with young children day in and day out can be both very fulfilling and very isolating. Spring and new life go hand in hand. With the buds on the trees and the flowers peeking up through the soil it seems like the whole world is starting to wake up. 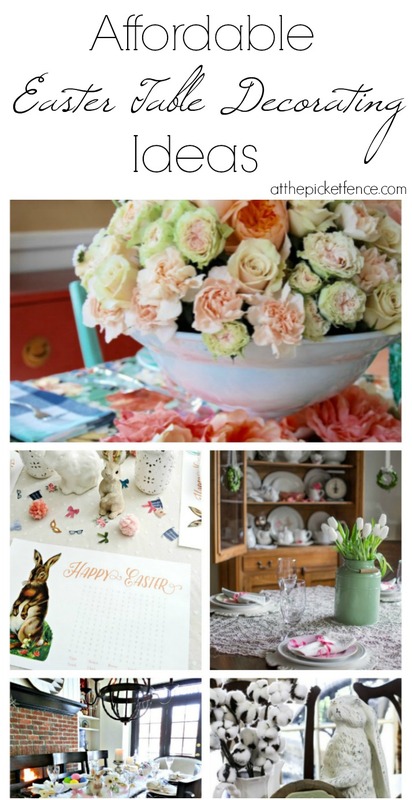 So when HGTV Gardens asked me to create a Spring Baby Shower table setting the first thing that came into my mind was celebrating new life and the joy of ‘nesting’. 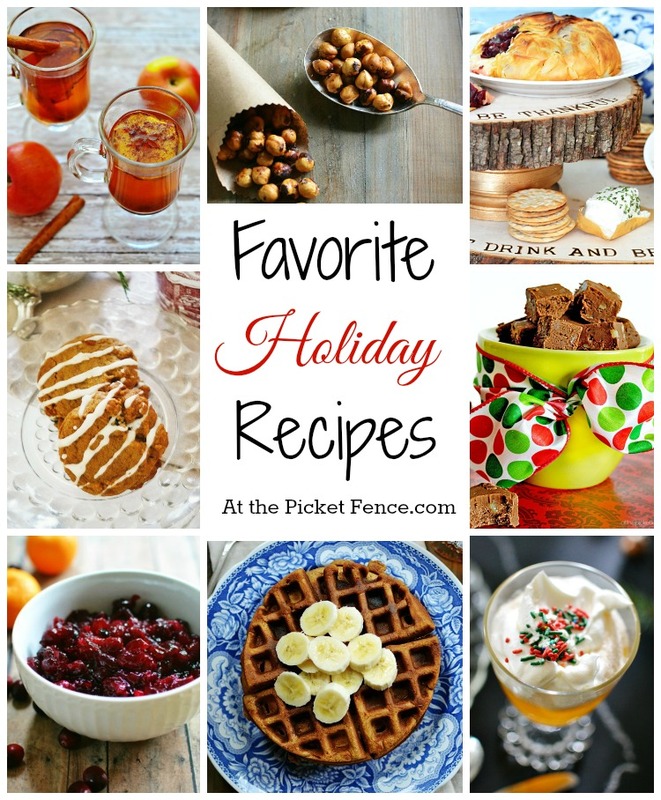 Does anyone else find themselves feeling so smug as you get everything checked off your grocery list for upcoming holiday meals only to get home and realize that while you may have the ingredients for a grand meal in a few days, somehow you’ve managed to make it home from the store without putting anything in your cart for the dinners you are expected to prepare leading up to that day! This past weekend was one of those weekends that you remember for years to come. Not because anything especially spectacular happened. In fact, it felt so incredibly ordinary. And yet there was also something extraordinary about it. What would seem like a lot of ‘nothing’ to some, felt like a whole lot of ‘something’ to us. I’m often asked how I would “define my style.” I’ve always had a hard time putting my style into words. 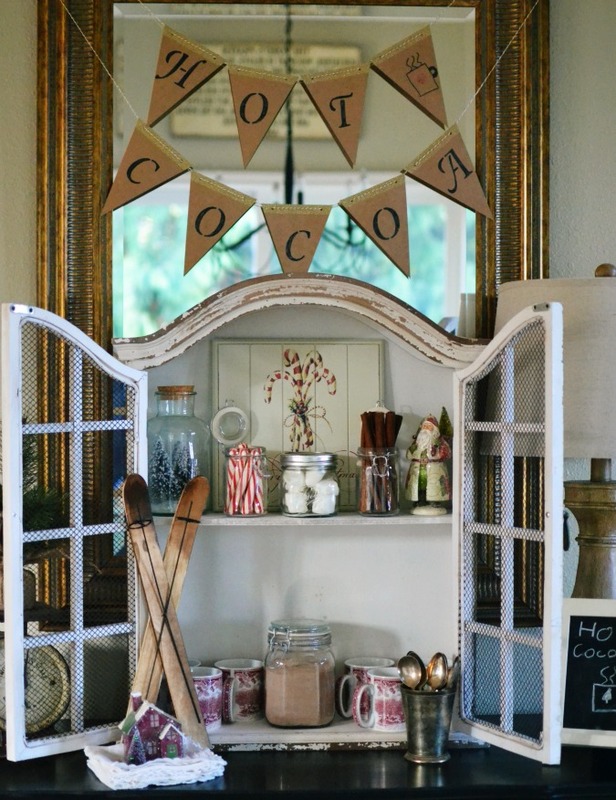 I love a little glitz and glamour combined with some fun pops of color all against a white background. Think deer antlers….gilded in gold. a disco ball propped up against a mirrored tree stand. A family heirloom made over in electric blue! A fur throw over a navy velvet chair. Easter has snuck up on me this year. I know that JoAnn’s has already moved on to its patriotic Memorial Day décor, but I’m still putting away stray hearts from February. Throw in spring break, a special 6 year old birthday celebration, and a week long visit from my in-laws and I’ve realized that our Easter will have a much simpler, but hopefully still very meaningful feel to it this year. 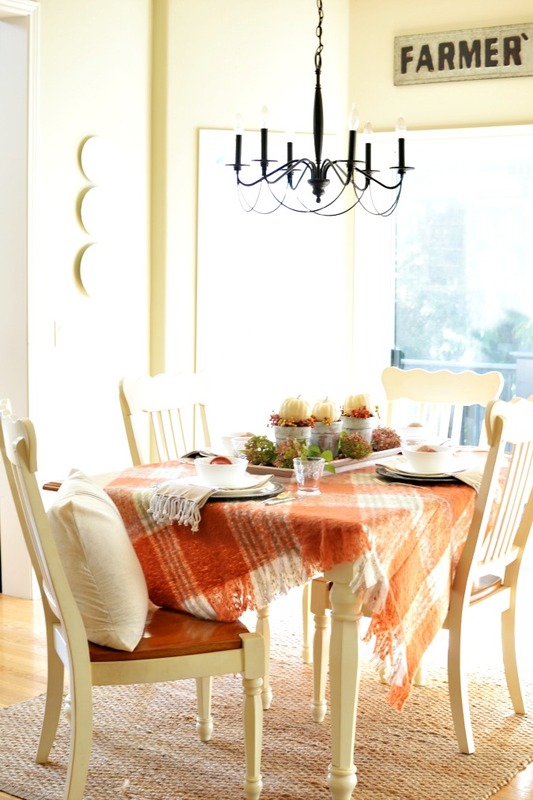 One thing that is incredibly meaningful for us this year is the chance to celebrate Easter brunch with a few friends that have no local family. There will be 19 of us in total and while the meal will be casual, a group of that size requires a little strategy with seating. 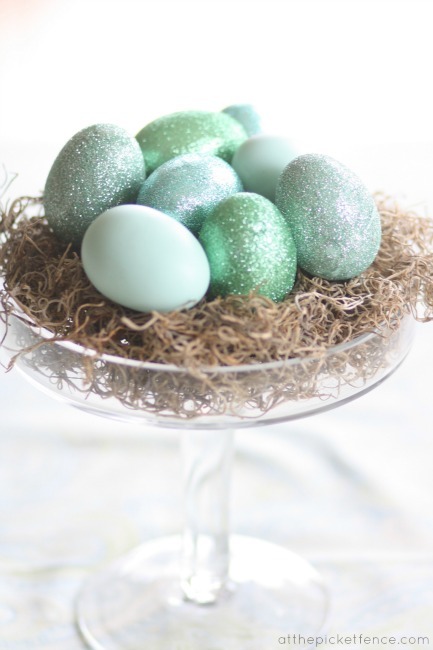 With only a few basic supplies (and no skill required), each seat has been festively assigned and warmly awaits our Easter morning chorus of “He is risen….He is risen indeed!” Even if your celebration doesn’t require assigned seating, these iridescent eggs could make an easy, last minute centerpiece, especially if you’re behind the 8-ball like me! I used both decorative robins eggs and standard-issue plastic Easter eggs for this project and had good results with both. 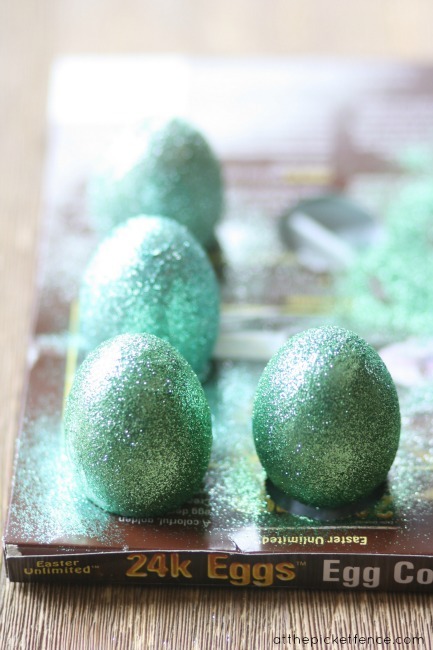 For the plastic Easter eggs I chose ones in the same color family as the glitter I was using to avoid a glaring contrast showing through. 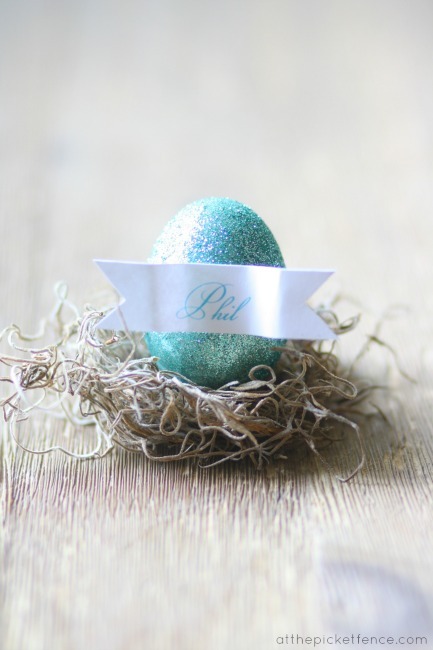 The plastic egg in the image documenting the glitter step was a blue Easter egg. 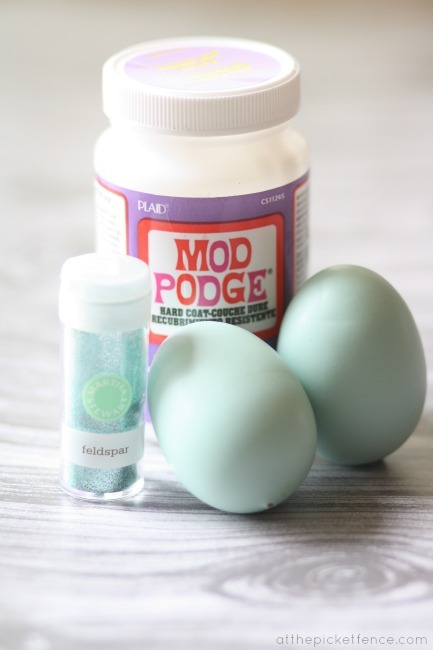 Coat plastic egg with Mod Podge. 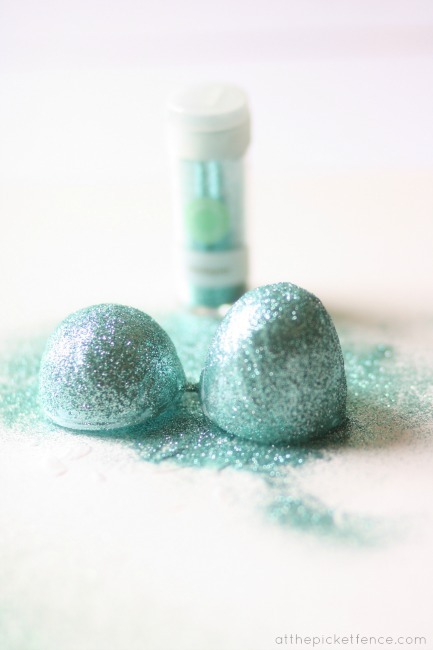 Cover egg liberally with fine glitter. Allow to dry and touch up areas with minimal coverage. 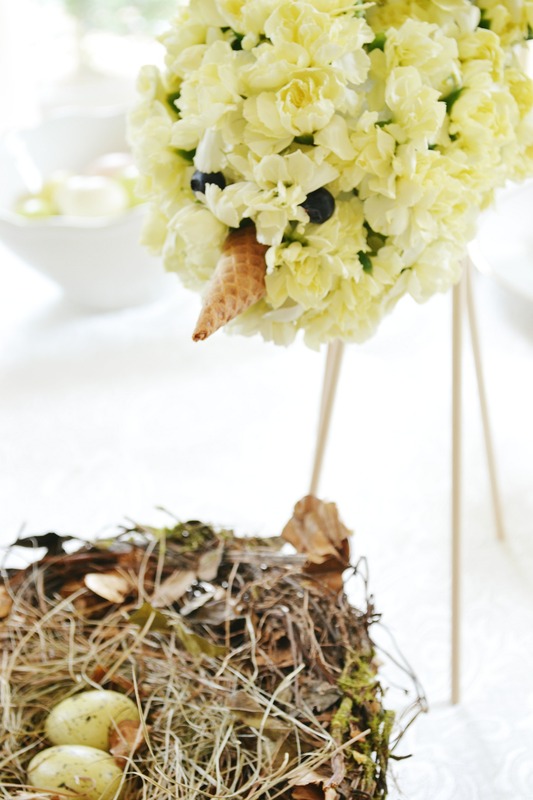 Use Spanish moss to create free-form nests. 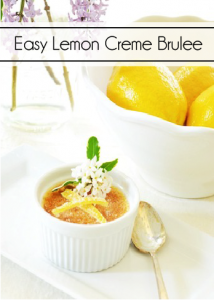 Print off name tags and adhere with glue dot, hot glue, or double sided tape. 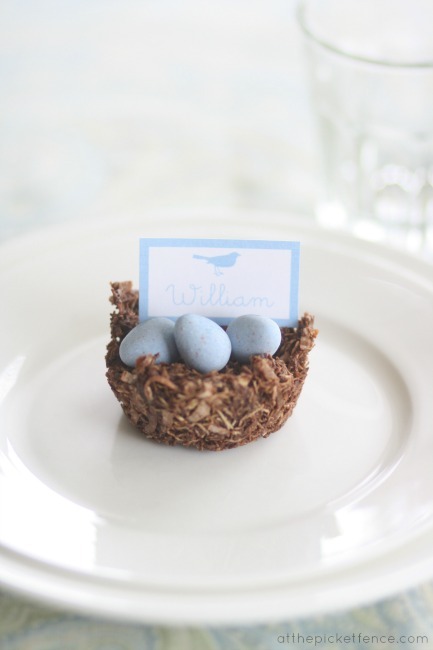 And for the kids, we kept with the nest theme but made an edible variety. It might have snuck up on me this year but my desire to make this day special is still the same. 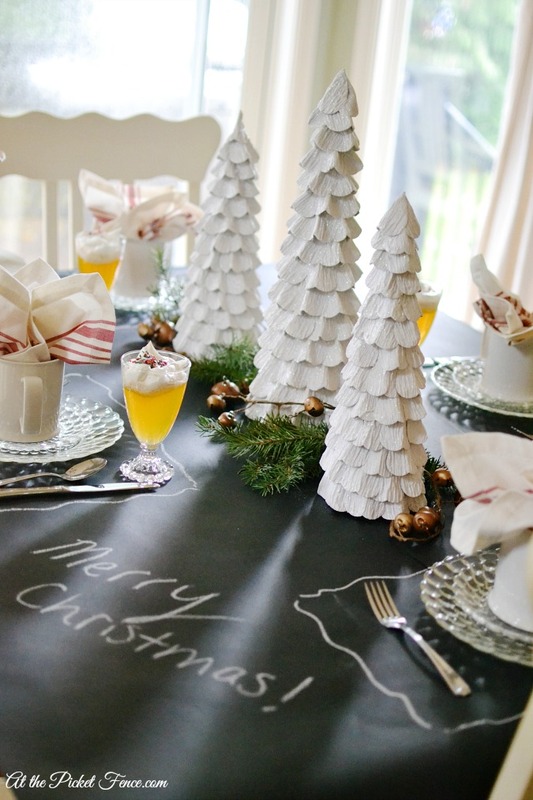 And, ultimately, we know that it isn’t about glittered eggs, nests and place cards. However prepared you feel this Easter, may your heart and your home be filled with joy as you celebrate our risen Savior.